The need to bridge the gap between traditional IT services and cloud application delivery is vital. This HPE PointNext blueprint guide examines the critical global business services and IT technology best practices for enabling cloud-native applications—from DevOps practices to underlying infrastructure. 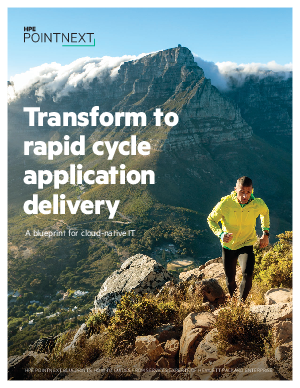 The blueprint helps IT teams accelerate the development and delivery of cloud-native applications.